She was from my past. From the past where I went to church every week, was a leader in youth group, and even allowed to play the guitar on stage if my volume was turned down real low. She asked where I went to church now. I swallowed and replied, "I don't go to church anymore." I've learnt that every Christian has a response to this answer. Most of the time the response is one that makes me feel small, irrelevant and unworthy. The truth is I don't identify as a churchgoer anymore. I haven't attended a standard Sunday church for five years (maybe more). 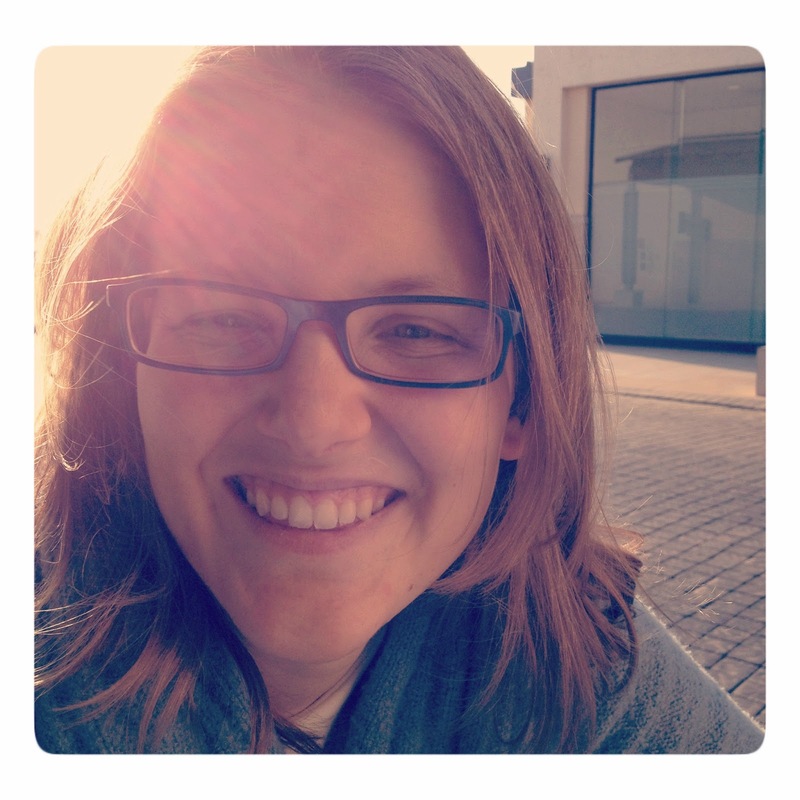 I can’t really remember when I stopped going only that Jesus is still the most dear and precious thing in my life. For me faith is all about staying close to God. It's about hearing Jesus say, "Come follow me" and then leaving everything to walk as close to him as possible. 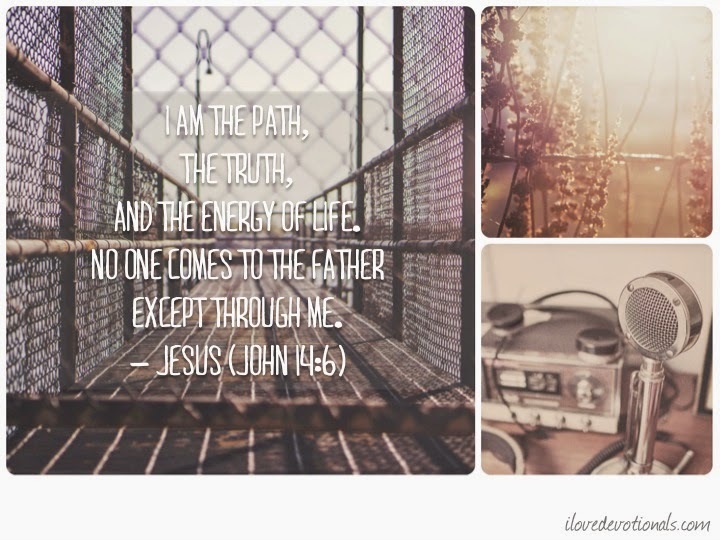 It's about believing that when Jesus said, "I am the path, the truth, and the energy of life. No one comes to the Father except through Me,” that he meant it. That John 14:6 weren’t just pretty words to Jesus but an invitation to a future of life, life, and more life. One of things I haven't left behind yet is my desire to please others, to please you guys. As a Christian blogger, and as the manager of a Christian TV station before that, I live (and lived) in fear of Christians discovering my secret: that I don’t go to church anymore. I've learnt that in the world of sharing Jesus publicly not attending a church is a shame to hide, something to whisper. Maybe I'm still trying to earn love which is why I've lived in fear for so long that someone will find out I don't go to church anymore. And then my voice won't matter. But the truth is I don't think I'm alone. I think there are a lot of us out there. Jesus lovers who don't fit the sunday-church-goer-midweek-meeting-mold and who are scared of the reaction other Christians will have towards them if they knew. I have friends who attend church, work in church, love church, and I've friends who aren't too sure how to spell church. I'm not trying to make you behave like me. I just want you to feel free to live in such a way that daily you find yourself being pulled into an embrace by God, that you find yourself so close to him surgeons would have a hard time cutting you apart. I'm coming out as a Christian who doesn't go to church, but is still deeply in love with a God who hung on a cross to ensure I would live with him forever. I'm coming out as a Christian who doesn’t go to church, who still has doubts and fears and questions about God, but loves him anyway. And I know after this post, some of you might stop reading the encouragement I share here but I'm okay with that. I'm okay with it because part of coming to Jesus - and believing I don't have to bring anything to be acceptable to him - is stripping off the lie that I have to be a church-going Christian to saved. My only salvation is Jesus. 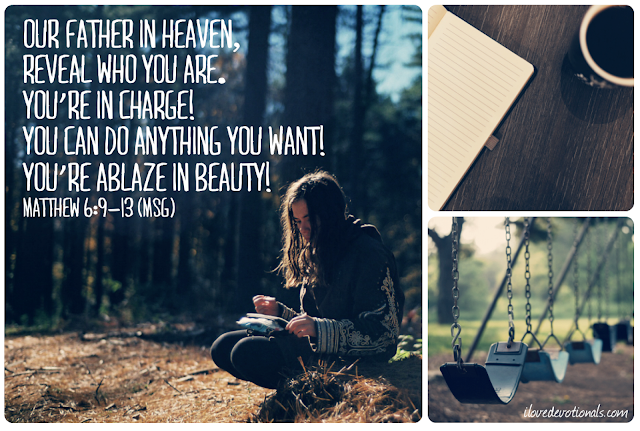 My salvation isn't about what I do on a Sunday, whether I write devotionals, if I have a whole book of the bible memorized. 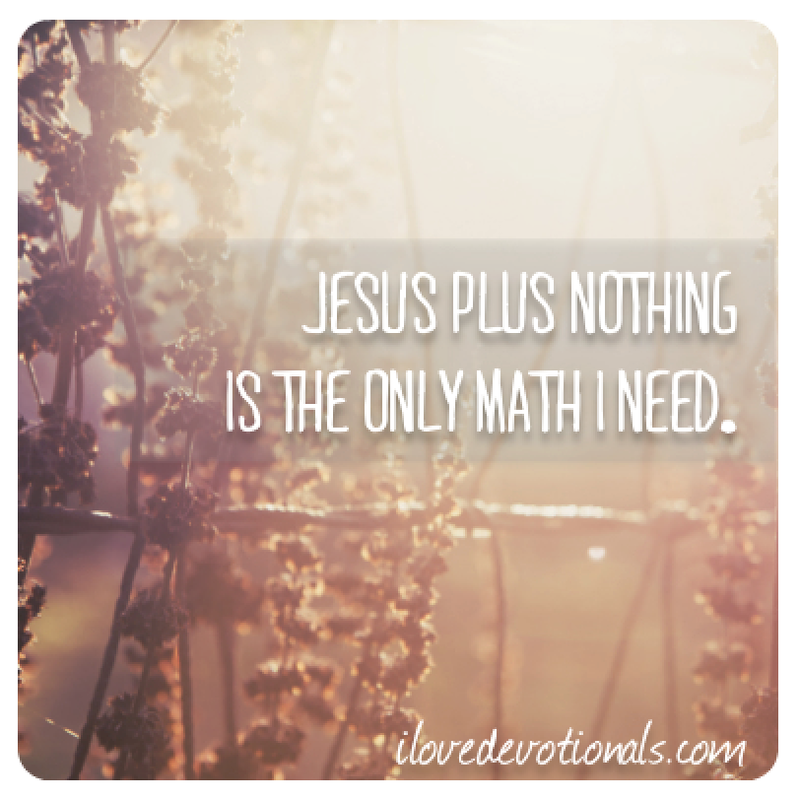 It's Jesus plus nothing. Always. Ponder: What do you think of Christians who don’t attend church? What drives these thoughts: the bible, culture or leaders opinions? Prayer: Jesus, thank you for giving up everything to be with me. Draw me closer to you everyday and teach me moment by moment to live life the way you want me to. Amen. 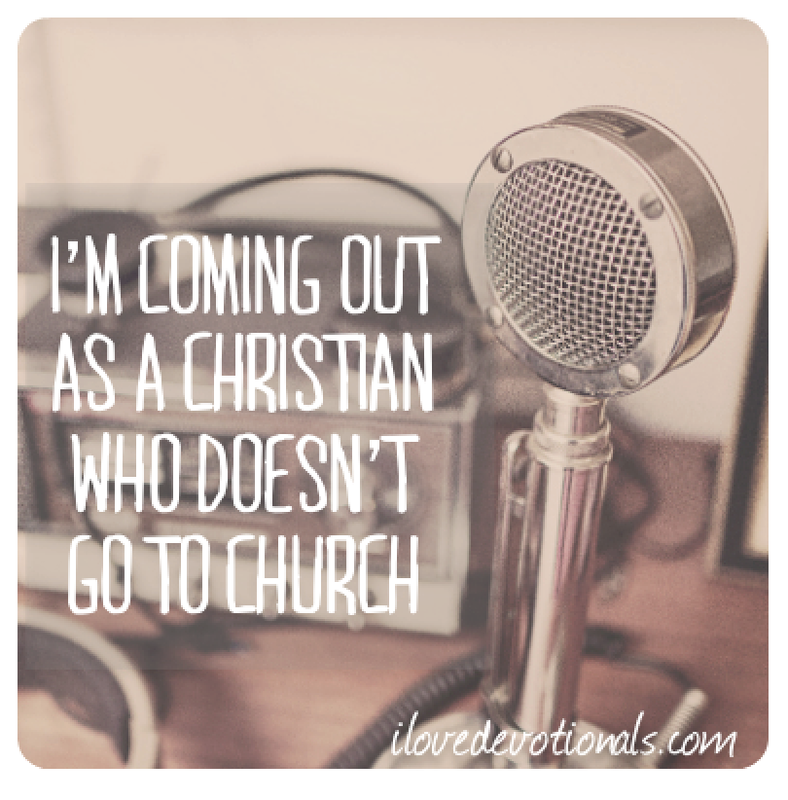 ** This was prompted in part by this beautiful post Why I'm coming out as a Christian by Ana Marie Cox. It also includes ideas I’ve been brewing since Donald Miller wrote this post, I don't worship God by singing, and this post, last year.